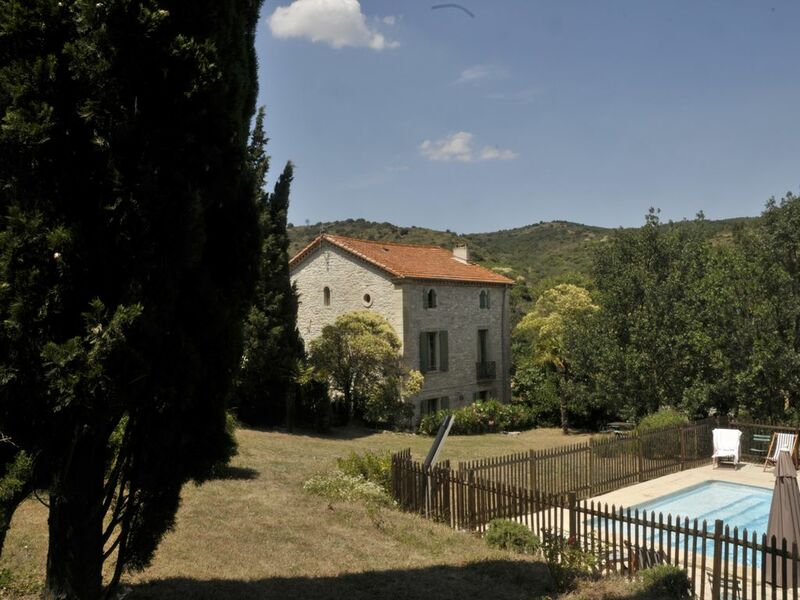 At the heart of the Corbières and 25 km from the Mediterranean. Mansion 7 rooms 280m2. Possibility of 10 to 14 people. Fireplaces and piano. Beds made on arrival. Linen provided. Final cleaning included. Cot and highchair. Heating and all utilities included. protected swimming pool 11mx5m with foot bath, shower, sunbathing and sunbeds. wooded park. outdoor table, barbecue, swings, table tennis.